We’ve commissioned Krishna from PC Weenies to draw up a political cartoon for our Podcast Presidential race, but we need YOUR help coming up with the words. The winner will get a signed copy. 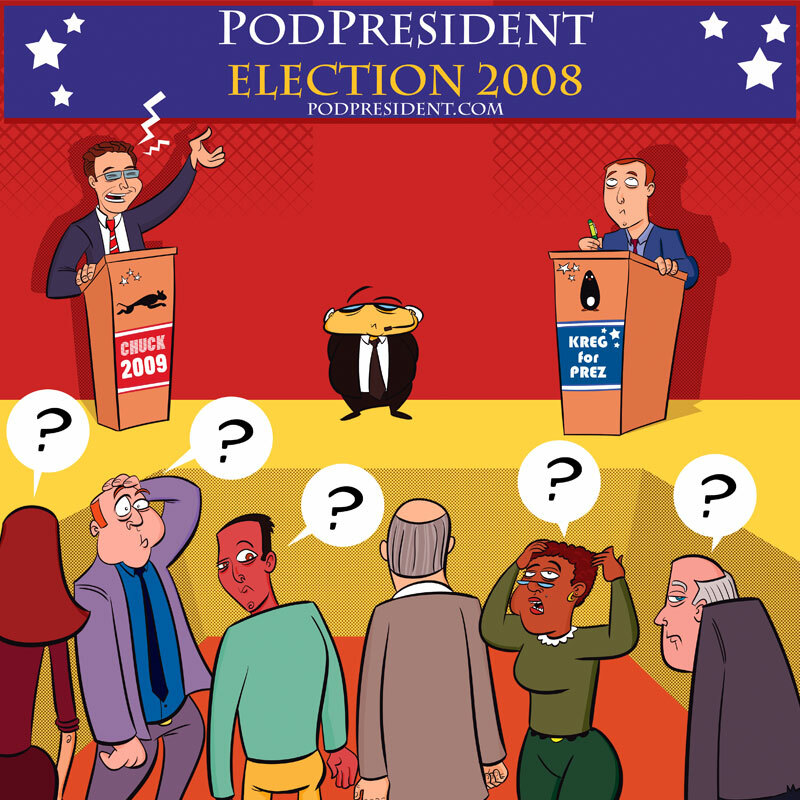 Send your submissions to contest at podpresident dot com and put “Toon” in the subject, by midnight, March 14, 2008.